MB CRUSHER BIG REVEAL AT BAUMA 2019 - MB S.p.A.
Strong attachments, adaptable to all work sites - construction, demolition, quarrying, trenching - and to all types of machines - excavators, skids, loaders, backhoes and telehandlers. Attachments that crush, sift, grind and process material directly on site. Certified and designed to reduce noise and dust. Attachments that save transport costs, maintenance costs, the purchase cost of inert material, and time. 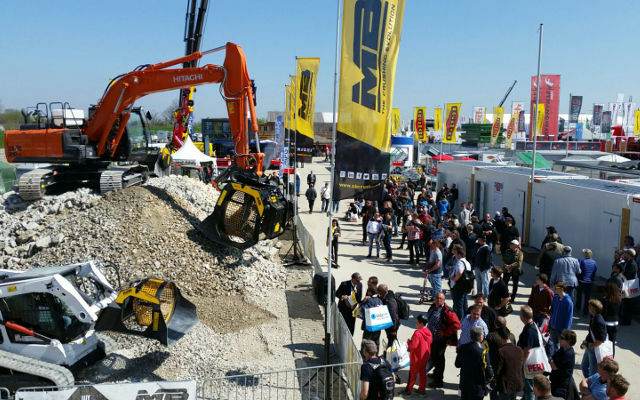 A mix of ingredients at the service of sites and customers all over the world, on display and at work from 8 to 14 April 2019 during the world's largest construction event: Bauma 2019 in Munich, Germany. And then there will also be the secret ingredient. The revelation that makes the recipe a starred restaurant dish. Or the perfect cocktail for the evening. But to find it out, we'll have to wait the first day of the fair. When, at the world premiere, MB Crusher will reveal something truly revolutionary.